LISLE, IL – September 25, 2018 – Molex, a leading global manufacturer of electronic solutions, has launched Hybrid FTTA (Fiber to the Antenna)-PTTA (Power to the Antenna) Optical Cable Solutions for cell phone towers. 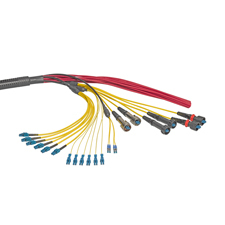 The Hybrid FTTA-PTTA Optical Cable allows for maximized tower real estate while keeping installation processes low. September 24 to 26 in Rome, Italy or visit: www.molex.com/link/ftta-ptta.html.